Have I mentioned I make quilts? I do. 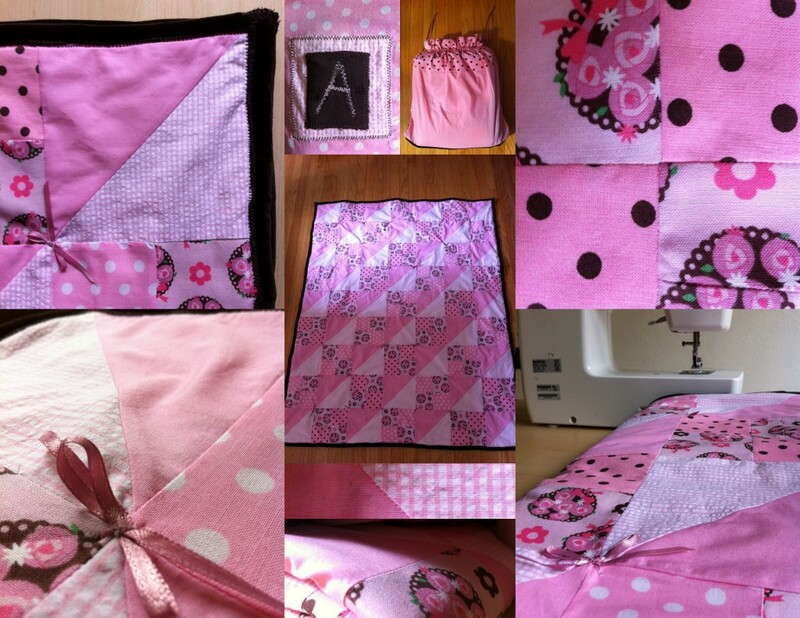 It’s one of the sewing projects that I love and have a knack for thanks to being raised by a doll maker. I’ve been working on them again recently, allowing myself a glorious afternoon here and there to design and sew. I finished this pink one last week as a gift for a friend’s little girl. So of course I thought about quilts when I read Christina’s post last week on where ideas come from. She talks about ideas being everywhere; that what makes them good is the execution, the acting upon them. She asks us, “Where do ideas come from? How do you act on them once they occur to you?” Her questions sparked too much thinking for a comment on her post, and thus, here I am, writing about her questions here. “Where do you think ideas come from?” I asked JJ this weekend as we sat in our kitchen eating a lunch of re-heated soup and fresh bread. He thinks about ideas a lot in the context of software and technology startups, and we immediately started talking about the development of the computer mouse. In a recent New Yorker piece. Malcolm Gladwell talked about the development of ideas in 1970s Silicon Valley by tracking the case of the mouse and laser printer. He also suggests that ideas are plentiful, but argues that their development can be limited by the context where they arise and the vision of those who come up with them. Gladwell’s is an argument for how innovation can sometimes look like one person “stealing” another’s idea, but that it is really about taking an idea and applying it to a new problem, in a new context. Thus, he says, no one is “stealing” the idea from another, but rather “view[ing] the problem from a different perspective, and carv[ing] off a different piece of the puzzle”. I agree with Christina and Gladwell, that ideas are plentiful. For me, ideas come from raw materials, when there’s a need, or I am listening. 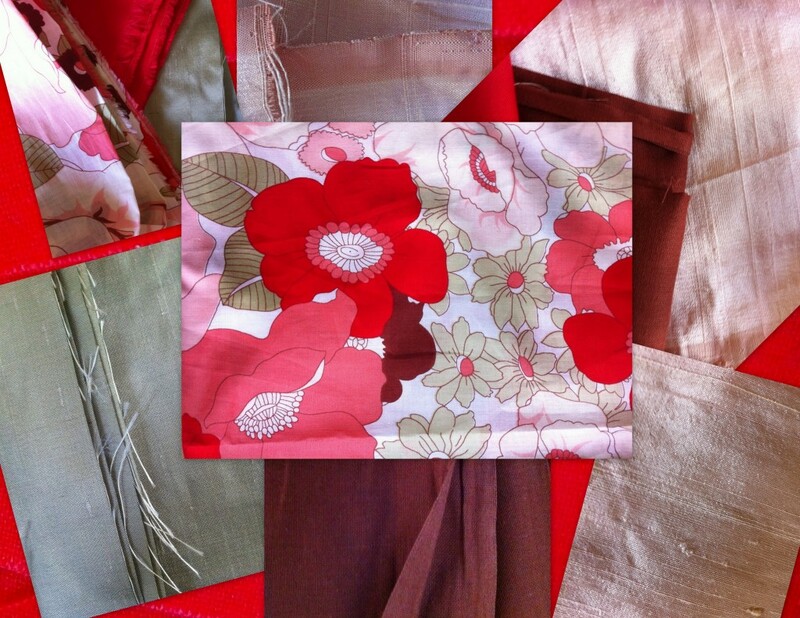 Fabrics can be raw materials, or photos. Threads of experience or questions become ideas as I tell a story to a little girl or boy. When I’m listening and acting with fabrics or words, I feel like I tap into a river of ideas. But the uncomfortable hesitation of risk is never far away, pressing me hot against the wall like bodies on a crowded bus in summer. What if it’s wrong? What if I ruin the materials? What if I can’t do it? As I sewed the quilt last week I felt it again and again. The frustration of a seam being uneven. Having to tear it out and do it again (and then again). Worrying about cutting into a new strip of fabric. Wondering whether the quilt would still be beautiful if the seams looked messy. These are small worries, and small problems in the larger scheme of life. But working on this quilting project while thinking about these questions got me thinking more about this inherent risk in executing ideas. Which brings me to my answer to the second question, on how we act on ideas. “What makes the idea good isn’t the idea, it’s the execution of it” Christina writes. Putting an idea into action is about the courage to go towards uncertainty, and possibly fail. I think she’s right. And that first step is often the hardest one. But in the days since I read this and have continued thinking about it, I had another thought: executing ideas is also about instinct. While I got frustrated again and again while making this quilt, I have a certain confidence with sewing, bred of years working next to my mother and learning from her work. I have an instinct for materials, how to mix colors and fabrics, and how to sew different kinds of seams. Just like those people working on the computer mouse in the 1970s had an instinct for how materials could link together and make something new. Which raises a new question: How do we develop instincts for executing ideas? There is trial and error, and teaching ourselves. There is education from others, and apprenticeship of course. And there is imagination and willingness to try. But is there something more? Part of me thinks we have both what we learn in the world – what others teach us – and an innate orientation towards doing or learning certain things. Developing the instincts to execute ideas and make them great thus becomes about learning from others AND tapping into this innate drive – passion, ability, imagination – inside of us. I am at a turning point in my life. Ready to take the years of training I have, and shift course. Which means developing new instincts. Listening for ideas, and executing on them, in different ways than I have in recent years. There are so many unknowns and scary wide open questions about where my career will go right now. Which is why making quilts again and taking creative risks with fabric and scissors feels so good. After finishing the pink quilt, I went to the fabric store and started looking for inspiration for the next one. Over the last few days ideas have been percolating, leaping into color with some fabrics I found, then swirling all last Thursday as I walked around a flowering spring garden with a friend and her daughter. Now, the fabrics sit in a pile under the front window, waiting for the first cut. Somehow, going through the exercise of openness to creative possibility in fabrics makes it easier to face the unknown questions about my career direction. Ideas flow when I make quilts, and executing them is risky, but less terrifying than other parts of life. So I’ll start there, and see where it takes me.